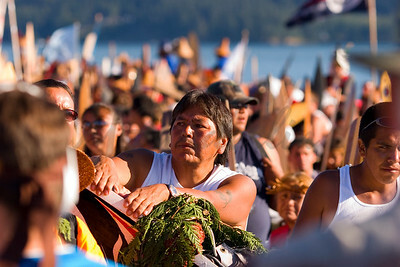 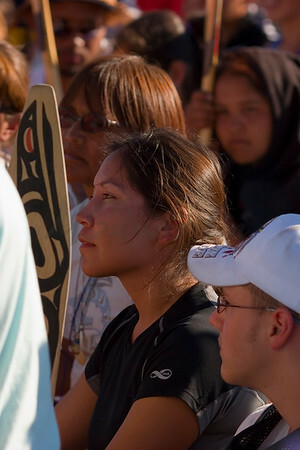 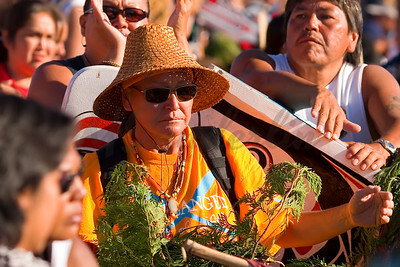 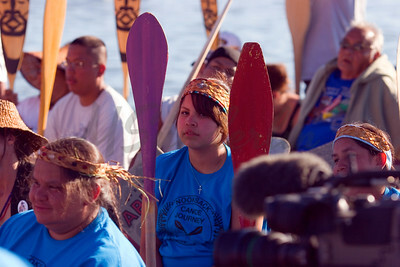 The Canoe Journey is a time of healing, hope, happiness and hospitality. 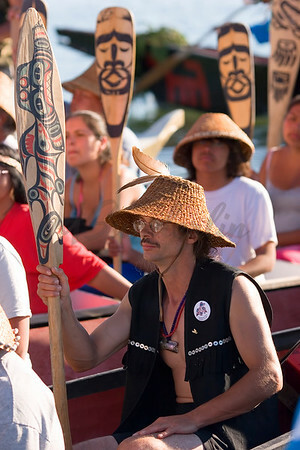 The Journey began with nine canoes as the paddle to seattle in 1989. 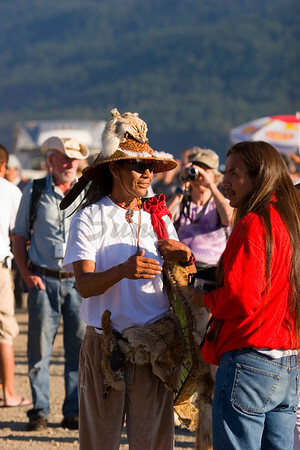 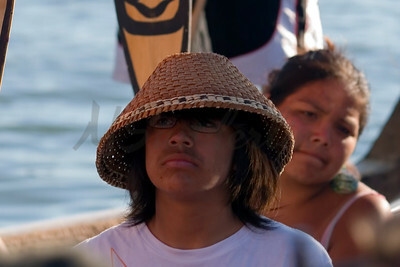 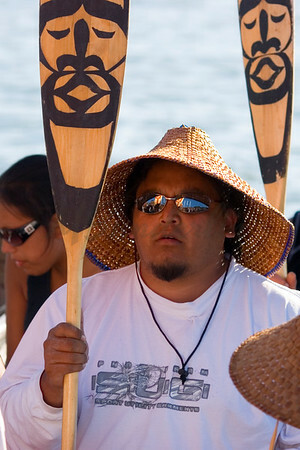 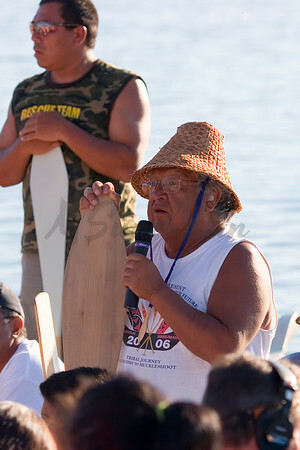 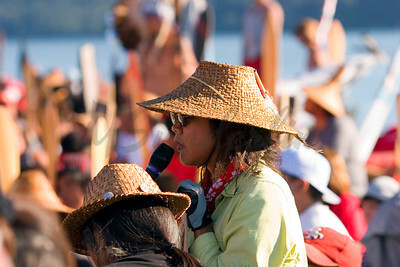 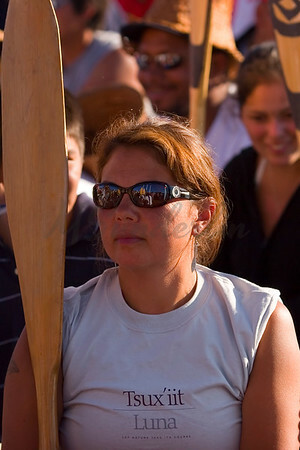 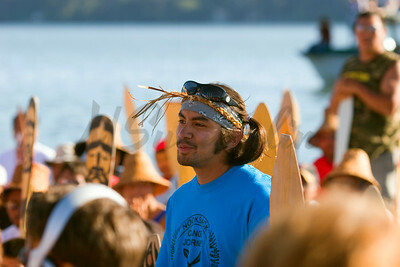 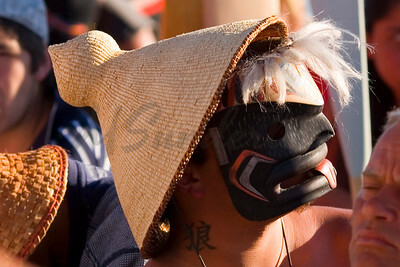 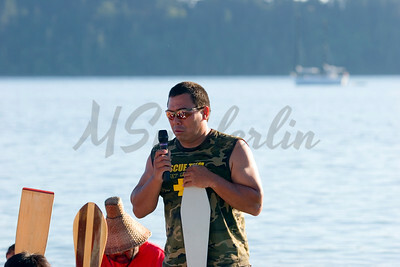 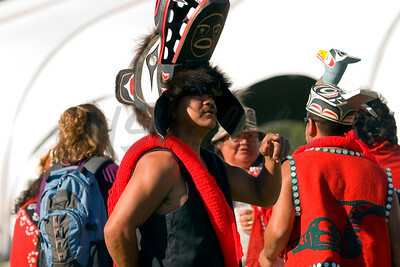 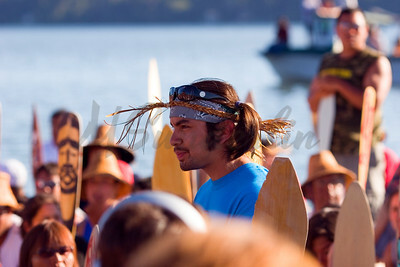 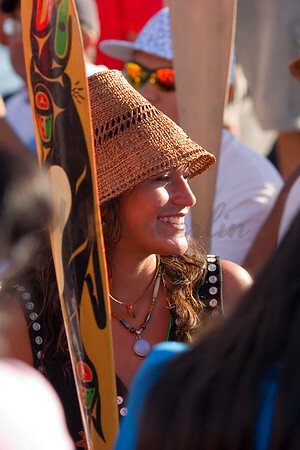 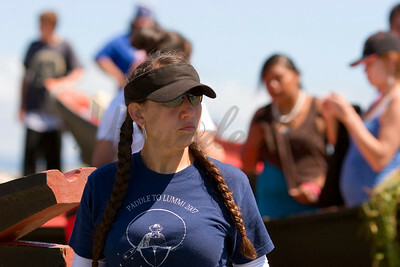 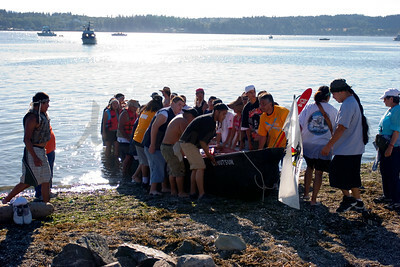 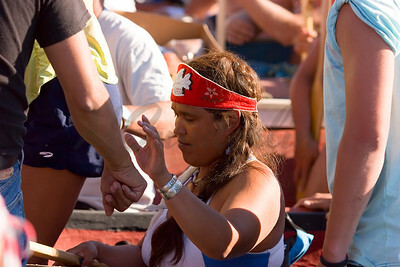 In 2006, the paddle to Muckleshoot hosted more then 60 canoes and over 40,000 participants. 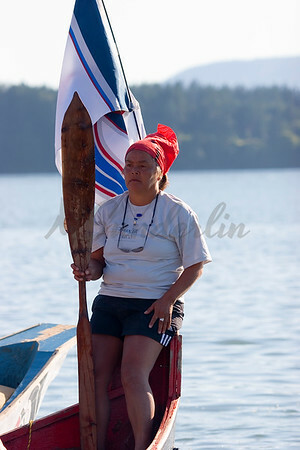 last year, canoes came from as far away as st. Paul Island, Alaska and the Grand Ronde Tribe in Oregon, traveling the routes of thier ancesters highways. 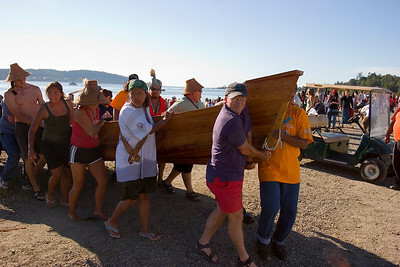 The journey seeks to honor the centuries-old custom of transportation, harvest and trade, many who traveled the waters to meet and gatherfor festivities. 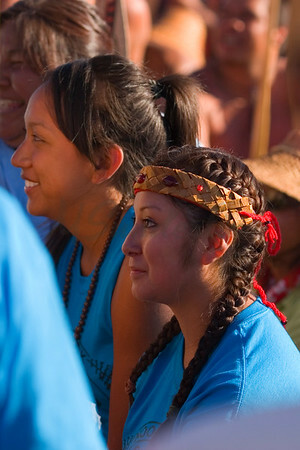 Relationships are strenthened, family ties are renewed, and young and old gather together during this drug and alcohol free event. 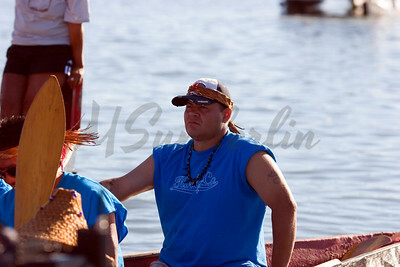 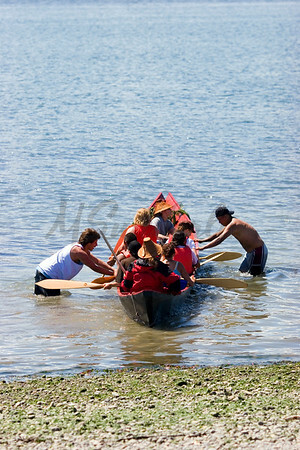 The elders believe that through canoe-pulling we achieve perfect harmony and balance. 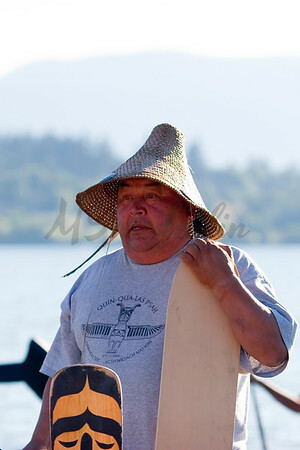 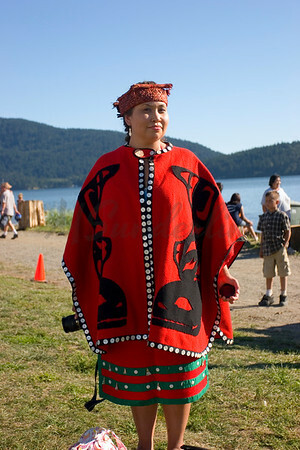 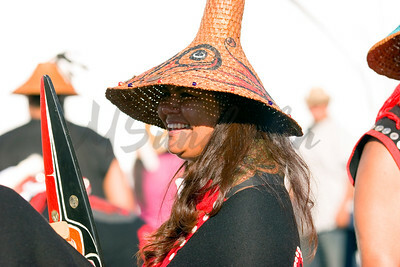 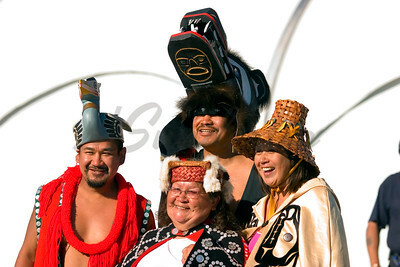 This is schelangen, the Lummi way of life.